In this episode we talk to CTS Premier Coach and Head Physiologist Dean Golich about his experiences at the RIO Olympics and some of the interesting things he observed while there. He tells us about Rebecah Rusch’s preparation for her latest high altitude adventure and how you can train for better results at altitude. Dean shares his views on Power to Weight Ratio matters and his refreshing view on body composition. Dean also helps us make sense of quantifying training load (Trimps Vs. TSS) and gives us an idea of what the training plans for his motor-sport athletes involves. Dean Golich is a Premier Coach and Head Performance Physiologist at Carmichael Training Systems (CTS). Over the past 20 years, Dean has been a pioneer in the application of exercise physiology, power training, altitude training, and hydration strategies to improve athletic performance in real-world competitions. He has been a personal coach to more than 70 National Champions and more than a dozen Olympic and World Championship medalists. His expertise has been sought by world-class athletes in mountain biking, road and track cycling, skiing, triathlon, and most recently by motorsports athletes in motocross, Moto GP, Superbike, and NASCAR. The US military has also looked to Dean for help preparing soldiers for high-altitude performance. 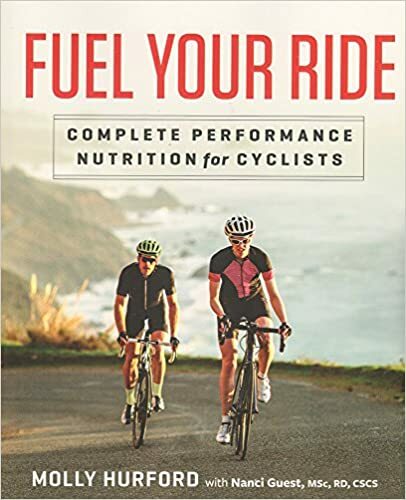 Dean served as a physiologist for USA Cycling from 1994 to 1996; he introduced power meters with the National Team and established training protocols for the 1996 Olympic Cycling Team, across all cycling disciplines. After leaving USA Cycling, Dean completed most of the coursework for a Masters degree in Exercise Physiology before leaving the University of Colorado to be the Manager of the Team GT Professional Mountain Bike Team. Dean has been with CTS since 2001. During his time at CTS, Dean has taken the lead in research and development projects with several companies, including Powerbar, Motorola, and Red Bull. He has also been a performance consultant for several professional cycling teams, as well as the Toronto Maple Leafs and Edmonton Oilers NHL Hockey teams. A few of the elite athletes who are or have been coached by Dean include: Mara Abbott (2010 & 2013 Giro Rosa Champion), Erin Densham (2012 Olympic Bronze medal, Triathlon), Carl Edwards (NASCAR driver), Alison Dunlap (2001 World Champion), Mari Holden (2000 World Champion; 2000 Olympic silver medalist). Dean resides in Colorado Springs when he isn’t traveling the world in support of his athletes. – coach role around race – making too many changes too close to race ! 3) How do you handle the discussion of weight loss, body-composition and power:weight with athletes ? – Get help from nutritionist / psychologist if not making progress. 4) What makes an athlete last longer in a sport ? 5) Have you had athletes switch sports and succeed or find enjoyment in another ? -> I.e Rebecca Rusch just did an interesting challenge after years of endurance mountain biking. 6) How does the training for motocross differ from a mountain bikers ? What does a week look like during ‘off-season’ ? – How is it different than TSS ?